The good folks over at XLrator Media have just dropped the release info on us for their upcoming slasher flick Inbred, and nce we're big proponents of keeping it in the horror family, we have all the details right here for ya! XLrator Media will be releang Inbred on VOD on August 22nd and on DVD September 24th. 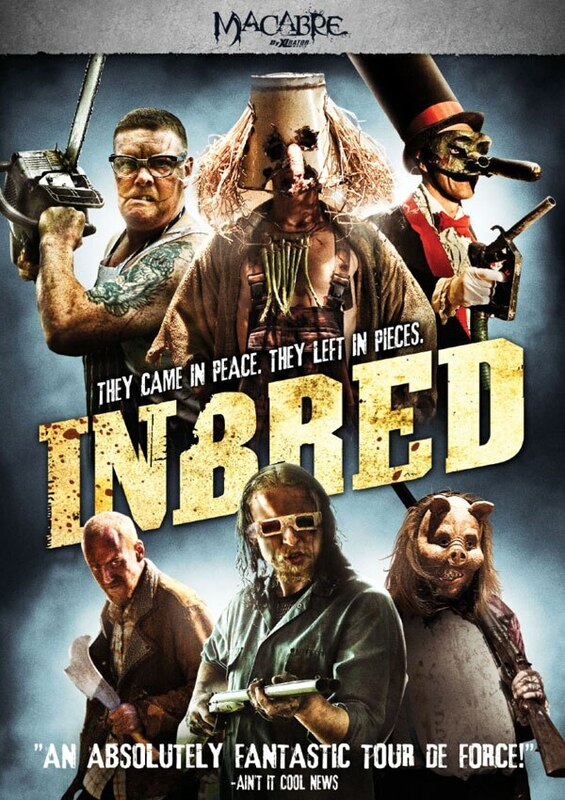 Alex Chandon's horror comedy Inbred (review here) stars Jo Hartley, James Doherty, Seamus O'Neill, and James Burrows. The film was written by Chandon and Paul Shrimpton. Synops When four troubled teens and their social workers take a community service trip to a remote Yorkshire village, a minor incident with some local inbred youths rapidly escalates into a violent, deliriously warped nightmare.